Over-reduction may violate critical tip support mechanisms (Table 49.1) which can lead to complications including tip ptosis and inadequate tip projection. 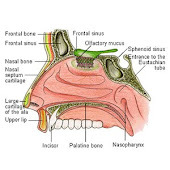 Alternatively, overresection of the caudal septum can result in overrotation of the nasal tip with excessive shortening of the nose. Overresection may also contribute to other complication such as bossae, alar retraction, and alar collapse (external nasal valve collapse). Under-reduction may be simply due to overcaution but is commonly due to a failure to correctly assess preoperatively the anatomical situation. For example, failure to recognize an overprojected nose, or to diagnose the steps required based on the patient's anatomy to adequately address this, can lead to a persistent overprojected state. Failure to adequately resect cartilaginous dorsum may result in a pollybeak deformity. Asymmetries of the nasal tip may be due to unequal reduction of the lower lateral cartilages or to asymmetric application of dome-binding sutures. It may also be caused by unequal scarring that can occur during the natural healing process and may not be evident for months or even years after surgery. Also, assymmetry is often present preoperatively and should be recognized and pointed out to the patient prior to surgery. Ptotic tip-loss of tip support may lead to a droopy tip (tip ptosis with an overly acute nasolabial angle (angle defined by columellar point to subnasale line intercepting with subnasale to labrale superious line) is 90 to 120 degrees.Within this range, a more obtuse angle is more favorable in females, a more acute angle in males. Loss of tip support can lead to a ptotic, underprojected drooping nose. Treatment of complications relating to a ptotic nose rely on restoration of tip support and tip projection. Overrotated Tip-Conversely, one may face a patient with a nose that has been overrotated, with an overly obtuse angle. Overresection of the caudal septum is a common cause of overrotation of the tip. Overrotation of the nose creates an unsightly, overshortened appearance. Treatment rely on maneuvers that lengthen and counterrotate the nose. Bossae- a bossae is a knuckling of the lower lateral cartilage at the nasal tip due to contractural healing forces acting on weakened cartilages. Patients with thin skin, strong cartilages, and nasal tip bifidity are especially at risk. Excessive resection of lateral crus and failure to eliminate excessive interdomal width may play some role in bossae formation. As an isolated deformity, bossae are typically treated through a small marginal incision with minimal undermining over the offending site followed by trimming or excising the offending cartilage. In some cases, the area is covered with a thin wafer of cartilage, fascia, or other material to further smooth and mask the area. Cephalic resection of the lateral crus of the lower lateral cartilages is commonly undertaken to effect refinement of the nasal tip. If inadequate cartilage is left, then the contractile forces of healing over time will cause the ala to retract. This is commonly seen squelae of overresection of the lateral crus. The surgical rule of thumb is to preserve at least 6 to 9mm of complete strip. From a study 20 percent of patients had a thin alar rim. These patients may require even more conservative approaches to avoid the risk of alar retraction and/or external nasal valve collapse. Also vestibular mucosa should be preserved, as excision of vestibular muscosa contributes to scar contracture with alar retraction. Alar retraction may be treated by cartilage grafts in more minor cases (1-2 mm). Auricular composite grafts are commonly used in more severe cases. The range of normal columellar show is generally considered to be 2 to 4 mm. The surgeon should avoid excessive resection of the caudal septum and should avoid resection of the nasal spine. Treatment of a protruding or hanging columella may include resecting full thickness tissue from the membranous columella, including skin, soft tissue, and perhaps a portion of the caudal end of the septum itself. If the medial crura is excessively wide, excision may include a conservative excision of the caudal margin of the medial crura. Retracted columella may be improved with plumping grafts inserted at the base of the columella to address an acute nasolabial angle; columellar struts may also be helpful for minor deformities. A cartilage graft may be used to lengthen the overshortened nose. The use of composite grafts have also been described. Pollybeak- A pollybeak refers to postoperative fullness of the supratip region, with an abnormal tip-supratip relationship This may have several causes, including failure to maintain adequate tip support (postoperative loss of tip projection), inadequate cartilaginous hump (anterior septal angle) removal, and/or supratip dead space/scar formation. Management of the pollybeak deformity depends on the anatomical cause. If the cartilaginous hump was underre­sected, then the surgeon should resect additional dorsal sep­tum. Adequate tip support must be ensured; maneuvers such as placement of a columellar strut may be of benefit. If the bony hump was overresected, a graft to augment the bony dorsum may be beneficial. If pollybeak is the result of exces­sive scar formation, Kenalog injection or skin taping in the early postoperative period should be undertaken prior to any consideration of surgical revision. Decrease Rotation (Counter-rotate) Full -transfixion incision, Double-layer tip graft, Shorten medial crura, Caudal extension graft, Reconstruct L strut as in rib graft reconstruction (integrated dorsal graft/columellar strut) of saddle nose. David W.Kim, Benjamin A. Bassichis, and Dean M. Toriumi, Chapter 31; Revision Surgery in Otolaryngology. By David R. Edelstein. A persistently wide tip after primary rhinoplasty may be due to the failure of the surgeon to account for a thick, inelastic SSTE (soft-skin tissue envelope) when modifying the dome region. In these patients, performing dome-binding sutures alone may improve the shape of the alar cartilages themselves, but this change will not necessarily transmit through the thick SSTE. Failure to project the tip into the skin envelope and effectively stretch it to conform to the underlying tip shape will lead to this problem. Study of the overall projection and rotation of the tip, the nasolabial angle, and nasal length should be performed to determine how best to project the tip and restore optimal tip shape. A shield-shaped tip graft may be sutured to the intermediate and medial crura to provide the desired augmentation to the infratip lobule and tip. Although the nasal base remains unchanged, the leading edge of the shield graft may project the domes by as much as 8mm. A buttress or cap graft may be placed cephalad to the leading edge of the graft to support the graft and camouflage the transition to the supratip. Lateral crural grafts are placed on the existing lateral edge of the shield graft when the tip graft projects > 3mm above the existing domes. These also provide additional support and camouflage to the shield graft. Lateral crural grafts also bolster lateral alar support in cases in which the native lateral crura have been weakened or removed. Another common error of omission leading to a persistently wide tip is the failure to straighten convex lateral crura. Domal narrowing will not result in a defined triangular tip appearance if the lateral walls of the triangle are curving outward. Unless the curvature is straightened with suture technique or lateral crural struts, persistent tip width will be present. These problems may be detected through the study of the base view of the nose. If lateral crural struts will be needed, strong segments of cartilage are required to overcome the curvature of the existing alar cartilage. These grafts are placed between the undersurface of the lateral crura and the vestibular skin that should be carefully elevated. The caudal attachment of the lateral crus and skin should remain intact to prevent caudal migration of the graft. The graft should extend from just lateral to the domes to the lateral aspect of the lateral crura. The lateral crural strut graft may be stabilized with a full thickness chromic suture, but it should be finally secured to the lower lateral crura with a 5-0 clear nylon suture. Prior to contouring the nasal tip, the surgeon must stabilize the base of the nose. If tip support is found to be lacking, a sutured in place columellar strut can effectively stabilize the base. This graft is placed into a pocket dissected between the medial crura. When it is necessary to alter tip projection, the alar columellar relationship, and the nasolabial angle the Tongue-in-groove technique can be utilized to stabilize the base. Specifically, if the patient has a hanging columella and prominent caudal septum that would otherwise require trimming, the surgeon can set the medial crura back on the midline caudal septum. Bilateral membranous septum excision is almost always necessary to remove excess tissue which results from the TIG technique. The TIG can also be varied in order to enhance rotation and or to increase projection. Tip deprojection can be accomplished by removing an equal amount of lateral crura and medial crura in a technique called dome truncation (DT).